myself and my 3 boys Kelvin, Joel and Kymani went to these apartments on the 16/09/10 for 7 days, we have had a brill time and could not have been looked after more attentively than we were by the owners, Andrea, Denis and Billy the barman! They were so friendly and catered for our every need and my children just loved everyone of them, the apartments are spotless as the pool and bar area, we certainly did not want to leave and for that reason we will def be returning next year thats how good it was for us, nites were peaceful and everything just a short distance away...what more could you ask for? and not only that we made some amazing friends that i hope, we will meet again the future....who know who you are lol.....will def download some pics once i get them on here! This is by far the best accomodation I have ever had the pleasure of staying in. Within minutes of arriving at the Derekas apartments my friends & I were made to feel completely welcome, & more could not be done to make our stay more pleasurable as the holiday progressed. The apartments were very clean, the pool / bar area was spotless & the staff were utterly amazing. I have had the most wonderful holiday...I have made some fabulous friends...& I was extremely sad to leave at the end of 10 days!!! 7 of us booked to go here for a fun group holiday....after booking we read the reviews and were really nervous about going after reading awful reviews......within 2 minutes of arriving I could not have been happier we chose to stay there. It is such a lovely place and the staff are so amazingly friendly! It is run by a family, husband, wife and their 2 sons and there is a barman, Billy. All of them were so so friendly, and made a real effort to get to know us. The rooms were basic but spotlessly clean and the pool area was also spotless. The owner cleaned the pool every single night without fail! We were there for 12 days and our rooms were cleaned and fresh linen provided 5 times. It is about a 30minute walk to the main strip, far enough away that there is no noise from the clubs on a night. Billy more than happily ordered us taxis at anytime to take us there, 6 euros to get there. On our last night the owners put on a surprise party for my friends birthday, Andrega, the owner cooked us her own lasagne and beef dish and made an amazing cake for Clare and all the guests there. They put banners and balloons up and made it a perfect surprise party! I have never been so sad to leave anywhere, and that is mostly due to not wanting to leave the people there. They all came to say bye to us at the end of a perfect stay. I am definately going back and would recommend it to everyone. It is just a shame that such a lovely place and family could be losing out on business due to totally unnecessary bad reviews. Please, if you are thinking of going here, do. You will not be disappointed! Disappointing...Zante is a beautiful island great for families, couples or groups of young people. It has something for everyone but just don't stay at the Derekas Studios. A youth hostel would have been better! Me, my parnter and a friend stayed at the Derekas Studios in September 2009. It was a last minute deal booked through the travel agent First Choice but run by Olympic holidays. We had read mixed reviews on-line prior to going on holiday. We kept an open mind and hoped for the best. According to some reviews the studios had recently been refurbished! I dred to think what they were like before! I was aware the it had a 2 star rating but you still expect a good service. Location: Its a fair walk from the beach and Laganas town, if you enjoy walking and are fit and healthy it should only take about 30 to 40 mins. There is a supermarket and a few bars only ten minutes away. Taxis in Laganas are only 6 Euros but if you want to venture further afield I would recommend hiring a vehicle of some sort. We were told about the location of the studios at the time of booking the holiday so we don't have a problem with. It is set in a peaceful countryside location over looking the mountains and olive groves. If you don't hire a vehicle and don't want to spend a fortune on taxis maybe chose a hotel closer to town. It could get a bit boring. The apartment: We had a two bedroom apartment, each with twin beds, also we had a small kitchenette, bathroom and balcony over looking the pool and bar area. The bedrooms a good size and plenty of storage for clothes and luggage. The beds themselves were very uncomfortable and woke up every morning with a bad back. If you plan to cook think again, the kitchenette was very basic and made cooking very difficult. In the end we eat out most days (Greece isn't as cheap as every thinks). There was an electric hob, a sink and a fridge...that was it! The fridge wasn't cold and not the best for storing food. No kettle so you'll have to wait about 20 minutes for the water to boil for your tea/coffee in the morning. The electric hob was very slow at heating up. You will need to buy your own washing up liquid and a tea towel. Washing up liquid will cost you. At the supermarket it will cost �1.80 for a small bottle, that only lasted us for about half a week. Also the cutlery was dirty when we arrived and needed to do the washing up. We also had to buy our own cups. Two cups for a four person apartment, very strange! The bathroom was awful. You will need to buy your own toilet paper as the hotel will only give you one roll on arrival! You will need to buy soap and a hand towel. You only get one towel per person. There is no shower curtain. The bathroom will get soaking wet and making the floor very slippery and the toilet will also get drenched (move the toilet roll first). The shower head is not attached to the wall so you need to hold it, very difficult when you have long hair. The toilet had a leak and this formed a huge puddle on the bathroom floor. We reported the fault to the manager (Edi) who looked at it and said there wasn't a problem. The leak continued and despite reporting the problem the manager did nothing to help us! At this point we called our Rep from Olympic holidays, they called Edi. He told us not to call the office again and was very rude. We called Olympic again and we had to wait for the Rep to come to the apartments and speak to Edi face to face. The Rep was very good and really stuck up for us. He had a go at Edi and eventually the toilet was fixed but this whole ordeal took four days to fix! When we had our welcome meeting from the Rep on our first day. We were told that our apartment would be cleaned every day. The bins would be emptied and the floors mopped. We stayed for a week, Monday to Monday. The apartment was only cleaned twice! We also told the Rep about this at the same time of the toilet incident. Edi promised to us and the Rep that the cleaning would take place. This did not happened. In Greece you can't flush your toilet paper down the toilet, the sewage systems aren't that great. So you have to put your used paper in a bin at the side. As you can imagine, in the heat after a few days it began to smell! So the bathroom was awful, it leaked for days and the cleaning wasn't done! If you complain to the manager you expect them to do something but he did nothing. The Rep was really good and made an effort to sort out our problems but the manager wouldn't even listen to him. Bar: There is a bar that sells drinks and food. Average price for food is about 5 to 7 Euros a meal. We did not eat at the bar as the hygiene standards in our apartment were so poor we didn't want to risk it. There is no entertainment at all (there is a pool table which you have to pay for). There is a TV by the bar but you watch whatever Edi wants to watch...Greek football... that's it! The best bit was the swimming pool, very clean with plenty of sunbeds to sit back and relax on. There is a small grassy area by the pool as well for kids to play on. Excursions: We went on a few excursions operator by Olympic holidays. We went on a cultural tour which included a trip to a local museum (an extra 3 euros entry fee), went to a vineyard and wine tasting and 3 hours of shopping time in Zante town. 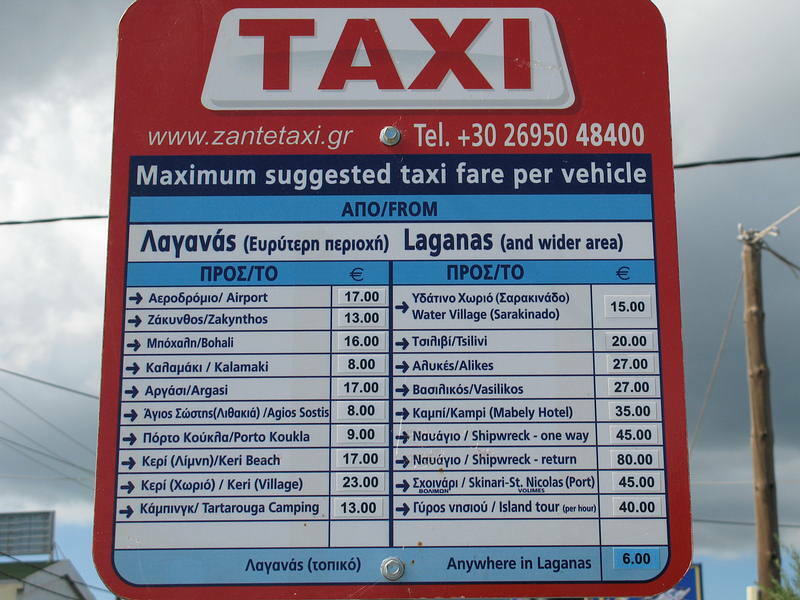 I would recommend this as its a great way of seeing the island and you get plenty of time to explore the lovely town of Zante. One of my friends did the Suba diving, this was 60 euros. He really enjoyed it and also got to feed fish. The instructors were also British and qualified. We all went on the Zorba in Zante Greek night, 37 euros each. Its on the North-East side of the island at St. Nicholas port, its a very long coach drive with lots of pick-ups from other hotels. 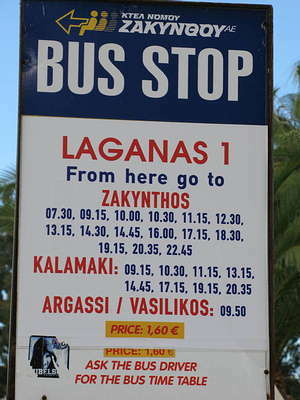 The journey takes you through the small towns and villages of Zante. Lots of small winding roads on cliff tops so take a travel sickness tablet first. It takes about an hour to reach the restaurant. You'll have a 3 course meal and unlimited wine (which didn't taste that great but it was free) and traditional Greek dancing and a live band. The entertainment was worth every Euro, including the dancers dancing in a ring of fire! Very impressive. Laganas is a lovely place to visit, there are lots of bars, pubs, clubs, restaurants even a McDonald's, Sub way, KFC and a Pizza hut. You can take a trip to St, Nick's beach if you fancy water-sports, lots of boat trips to see the turtles! Over Zante is a lovely place to visit for families, couples or groups of young people. There is something for everyone just don't stay at the Derekas studios. Also I would recommend people go half board or full board as self catering proved expensive. A pound is worth the same as a Euro these days. Eating out all the time will be costly. i agree with the last 2 comments, ignore the rest. the apartments were lovely. they are the furthest apartments from the strip, a good 30minute walk but it was nice to have some peace sunbathing! the apartments are owned by a greek family who dont know much english and dont provide any entertainment, so it is quite boring but it depends what kind of holiday your going for. the only thing i would say was bad was the shower as u have to hold the shower head!! but overall these apartments are a nice place to stay! I went to Laganas on the 2nd of September for 2 weeks and I stayed in Derekas also. It was such a lovely place to stay. So please ignore what people have said about them being horrible. These apartments aren't on the main strip which is nice as you dont have drunks keeping you up all night and its very clean. It will cost you 6 Euros to get to the strip or you can walk it for 20-30 mins. Be careful of the pavements tho. The edges arent done properly and there are some dogey holes in the road. These apartments are set about 20 metres off the road so some noise will be experienced but it wont be as noisy as the ones on the strip! The pool was very nice, and had sunbeds round the sides. You get good sunshine until about 6-6.30pm as the sun goes behind the apartments after that. So you'll have a good 8 hours of sunshine!! If you chose these apartments, you will NOT regret it! I loved the place and would definately go back to these apartments again! derekas apartments is the most horrible place i have ever stayed, it is in the middle of nowere its like a block of flats in the desert, the people who own it are absolute syko's they trashed are room, and olympic did nothink about it. laganas itself is spot on, but dont do what we did earlier this year and think just because some people have given good reviews it will be ok its mingin,moskito bitten to high heaven,and we evan had an old man staring through are balcony doors all the time. go to laganas but dont stay here. try apollo studios the people were lovely there and a big pool and much closer. If you are staying in these apartments i suggest that you rebook. The owners are far from friendly and will start shouting at you if your room is in a mess. There is no air-conditioning so u will defn bake. The apartments are mile away from the main strip and beach so it will cost you everytime you want to go there unless you are prepared to walk for 30 minutes. On the whole theese apartments are TERRIBLE and STAY AWAY!!! We liked it here, the apartments were really nice, clean and spacious. The walk to and from the Beach is a bit of a killer, but hey, a bit of exercise never hurt anyone, and if you do get tired of the walk, you can always use the pool over the road or get a taxi for only 5 euros. All the apartments have a balcony which is a bonus. Don't know if I would stay there again, might opt for something a little closer to the main strip next time! it was really fun i loved the karioke. i wanna go again. boys if you are going out there for a great time, then this is the place to go. place is full of girls and its non stop. going back nxt year for defo. its the bomb x x x x x x x x x x x x!!!!!!!!!! Zakynthos is a great early summer destination.I am saying early summer baecause i have heard that by mid July there are too many people in and around bars/clubs/beaches/pools for anyone to enjoy themselves. The small selection of bars/clubs in Laganas where i stayed were great.I haveto say though that they are more suited for over 21's.Which is fine with me.So resort was sweet.Food was dependant on where you ate it.I cant remember the names of the places myself and my mates went to. Now here is my soapbox entry.Derekas were fine apts.There were two dogs which always hung around by the entrance and you could not meet sweeter more affectionate dogs.They were well fed-trust me. Owners were only seen twice.First time was at about 11pm when a man looking like the owner decided to do his lawn with a trim and edge.The front lawn was about 25m long by 40 wide!Fair play to him. So heres my one gripe.Location,location,location.The apts are probably the furthest away from the resort,a good 30 minute fast paced walk,i do not recommend these apts for handicapped people.The rooms all have private balconies and are clean with fridge/sink/few bits of cutlery if your lucky.Go for it if your fit.We paid little monry for this place and it was worth every penny!!! if you are thinking of going then stay at home. it was the worst hoilday I have ever had. the nearest supermarkt is 500yrds away, there is no pool. at the end of the holiday you have to carry your own luggage to the oscar hotel which is about 600yrds away. you can use the facilities across the rd but afer 12pm the guy that owns it (Costas)is never off your back to stop noise. if you are like me and want to be to walk out the apartment and have wee shops and places to eat this is not the place to go. A fantastic place , excellent accomodation , friendly people , last year we visited Tenerife , stayed in Los Christainos , it was terrible , this place was 20 times better! We got home yesterday from these appartments and they are very clean, brand new and spacious. Use the Tassia opposite for the best breakfasts in Laganas and Costas is a great bloke. 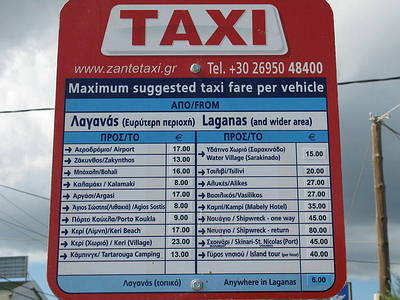 the only problem was the distance to the beach, it was over 3Km and too hot to walk so get a taxi £3. Just off the main road into Laganas but you still get the noise of the motorbikes at night. will we need a torch to see where we are going? I've just read another site of someone saying he wished he stayed at home!!! We go on 29th July, please advise. Please help I go to Zante on the 15.7.01 I and am desperate to know what these apartments are like.